Any Web Site Can Become A PWA – But We Need to Do Better — Christian explains his previously public comments on creating PWAs from websites and how it can be done better. 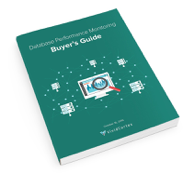 Database Performance Monitoring Buyer’s Guide — This guide is designed to aid when evaluating database monitoring solutions for your unique environment. Naming Progressive Web Apps — Some thoughts on why PWAs are named as they are, and what it means (and doesn’t mean) from the person who helped give PWA its name. Progressive Web Apps Challenge Native Mobile Apps — Progressive Web Apps (PWAs) are catching on at major web companies with developer tools more abundant, presenting a challenge to native mobile apps. Designing The Perfect Accordion — How do you design the perfect accordion? The choice and position of the icon matters, and so does interaction designs. A detailed run-down. Content Performance Policy, An Alternative to AMP? — A proposal to fix the ‘issues’ with Accelerated Mobile Pages. What’s New in WebView Security — An overview of the security enhancements available for your Android apps in the newest version of WebView. What If All Your Mobile Devices Formed A Single Screen? — “Think about all the possibilities of being able to combine any kind of mobile device, independent of its operating system.” — This is what Swip.js offers. Which Framework7 Template Should You Choose? — Timo walks through various templates available for building apps with Framework7 and how to choose which might be best for your next app. Why Are App Install Banners Still A Thing?